When we first start making quilts we are full of enthusiasm and can’t wait to begin sewing. Sometimes this excitement will quickly turn to frustration when we hit a snag. 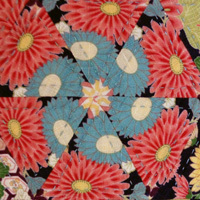 Many of the smaller problems that plague new quilters are avoidable. I can’t promise to fix all your problems, but I can point you in the right direction to make your quilting experience more pleasurable, keep your frustration at bay, and keep you sewing. My new students will usually have a brand-new wheel-of-pins. Getting the pins in and out of the wheel as they are sewing is fiddly and time consuming. A better option is to use a pin cushion. 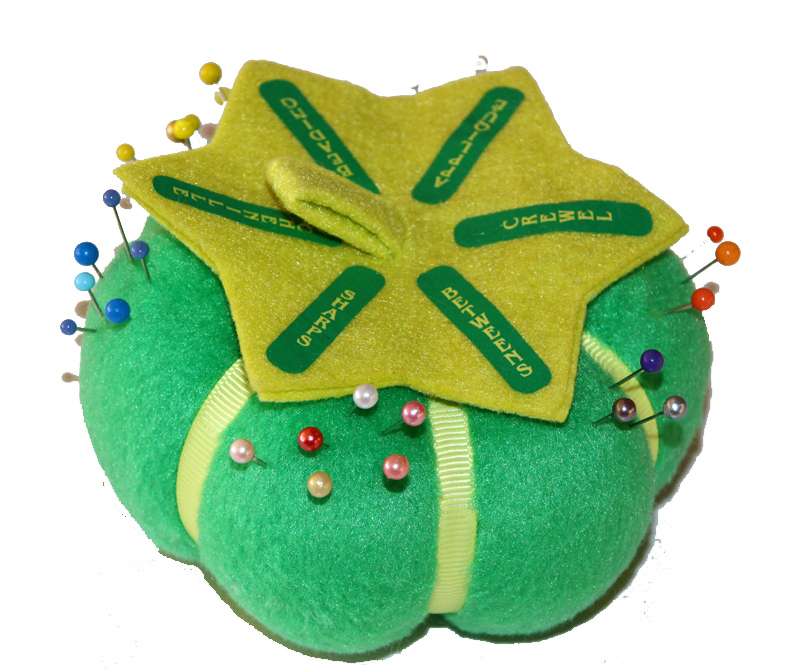 Pin cushions make sewing much less fiddly. The ultimate solution to the fiddly-pin problem is a magnetic pin caddy. Keep one next to your sewing machine. Simply hurl the pins in the general direction of the caddy and the magnet catches them. 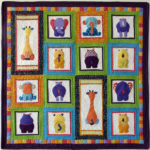 Have a think about how many times you will pick up and put down pins during the course of making a quilt. It all adds up. It’s all fun and games until the bobbin runs out. The best way to avoid bobbin rage is to wind three or four spare bobbins before you start sewing. I know you want to start sewing right away, but take a minute to remember how annoying it is to re-thread your machine every time your bobbin runs out. I rest my case. Again, this will save time and energy. Using the thread cutter is eight and a half times faster than using the scissors. Yes, I have timed it. If your machine starts to misbehave it’s probably because there is trapped lint and fluff. Cleaning your machine is really-really-really important. Follow the instructions in the manual and clean it every time you use it. This means removing the bobbin cover and cleaning the feed dogs and hook race. There are no short cuts here. It must be done. The pay-off is that your machine will thank you by behaving itself. If your stitches start skipping or going crazy you may be tempted to adjust the tension dial. My strongest advice is to not touch it until you have re-thread the machine and cleaned out any lint or extraneous threads. Then, and only then, do you have my blessing to adjust the tension. Needles get blunt. Blunt needles will affect your stitches. Some people use a new needle with every new quilt. This is apt for both machine and for hand sewing. While we are on this subject, pins also get blunt. Lovely sharp needles and pins makes sewing more pleasurable. During the day I work in my sewing room. This is where I design, choose fabrics, cut, sew and generally do all things quilty. Lots of daylight and all the tools I need make this room my happy place. 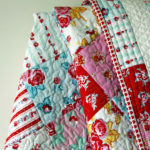 During the evenings I do my hand-quilting in the family room in the company of my husband as we watch TV or a movie. Once I have settled down, the last thing I feel like is going to look for my sewing bits and pieces, so I keep a second set of sewing needs next to my chair. This way I can start quilting as soon as I sit. With machine sewing we have to press the seams before we can move on to the next section. By the time the quilt is finished most of the pressing is done. A problem arises if you piece your blocks by hand. In theory, you could make an entire quilt top without it going anywhere near an iron – but (and you can trust me on this) your life will be miserable when you finish your quilt top and then have to press all those squashy seams. You will spend hours at the ironing board and the steam will ruin your hair. The moral of the story is to press each block as soon as it’s finished. Yes, it’s tedious, but you, and your hair, will thank me. Use good quality thread. Old or cheap threads can be furry once they are cut. This makes threading totally impossible. Use sharp scissors. Cut the thread cleanly and sharply on a 45 degree angle. The eye of the needle is like a funnel. There is a right side and a wrong side. My advice is to always use the right side. If all else fails use a needle threader. The little wire ones are okay but are easy to lose and will often break. There are lots of new-fangled needle threaders on the market now. Yes, they cost more, but they are worth the investment in the hours you save. Get a safe with a combination lock if you have to, but keep your good scissors out of the hands of the people who want to cut paper, plastic, wire or worse. When you cut out your fabrics by hand blunt scissors can distort the pieces and also make your hand ache. Blunt blades can dangerous. If you have to push harder you have less control. If you have to re-cut the same strip more than once you are wasting time. For most people, the first quilt they want to make will be for their own giant-sized bed, and for many of us, lack of expertise and experience means this first quilt will never be finished. Often it will go into a cupboard never to be seen again. For my students, I suggest they learn the basics on a smaller, more achievable project. A great place to start is with one our Free Patterns. Actually being able to finish something is satisfying and rewarding. Save making the family heirloom for when you have some skills under your belt. As quilters we are generous beings. We are always making things to give to others, but with your first project, gift it to yourself. It’s wonderful to be able look back at our first project to see our not-so-perfect stitches and safe fabric choices to see how far we’ve come. This is really great advice. The one I’m going to be immediately putting into practice is winding multiple bobbins the next time the bobbin runs out. Duh! So smart! One of those things you can’t believe isn’t just a given. 😉 Great tips all around. Thanks so much! Thanks, Deborah. I am guilty of all of these things – I learnt the hard way! Your advice sounds so much like mine, so of course I think you are very smart! Good reminders for everyone, and all so simple. I am having a chuckle because I read your math blog this morning and thought exactly the same thing – you are very smart! Great minds think alike. I whole heartedly agree with all of these!!! Personally I like to wind a bunch of bobbins in the colors I usually use. Like 10 or more of each. If I’m using an odd color I wind a few extras so next time I’m ready. I’m in the living room now with my second set of sewing things working on 408″ of binding. This is how you find time to make so many beautiful quilts, Barbara. We learn these things from experience. Good luck with your binding.